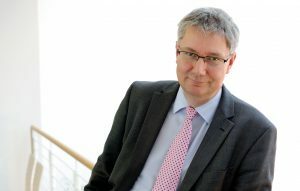 Interview with Andrew Morris, Professor of Medicine, Director of the Usher Institute of Population Health Sciences and Informatics, Vice Principal of Data Science at the University of Edinburgh and the Director of the Farr Institute in Scotland. Prof Morris will be speaking at the BioData World Congress in Hinxton, UK, 26-27 October 2016. What is The Farr Institute? The Farr Institute is a UK-wide research collaboration involving over 20 universities and health partners in England, Scotland and Wales. The Institute is publically funded by a consortium of ten organisations led by the Medical Research Council. The Institute doesn’t own or control data but analyses data to better understand the health of patients and populations. What kind of research do you support? We are committed to high-quality, cutting-edge research using ‘big data’ to advance the health and care of patients and the public. The Institute works to advance informatics, statistics and data science and to develop governance and infrastructure frameworks that underpin the safe and trusted use of patient data. This provides the necessary tools to investigate, understand and improve the health and care of nation-wide populations. Do you hold any genomic data? The Institute doesn’t hold or own data but facilitates research with data from various sources in secure and trusted environments. Delivering the benefits of data analysis to patients requires collaboration across many fields, including genomics. Linking to electronic health records provides an essential connection between cutting edge science and the clinical delivery of genomic medicine. Both genomics and eHealth research are developing at a substantial pace. The ability to combine genomic information with clinical phenotypic data allows us to define diseases at a molecular level informing a more individual treatment for the patient and providing new targets for drug development. Can you give an example of how The Farr Institute infrastructure is being used for collaboration across different organisations? Collaborative programmes and partnerships with healthcare, academia, government and industry are key to delivering the benefits of The Farr Institute’s research to patients and the public. With accreditation in information security management and extensive e-infrastructure underpinning The Farr Institute’s work, our nationwide state-of-the-art super-computing capability can facilitate collaborations in secure and trusted research environments, compliant with all regulatory requirements. For example, The UK Secure eResearch Platform developed by The Farr Institute team at Swansea University provides an integrated informatics environment to the MRC Dementias Platform UK. By facilitating the linkage and analysis of 22 research cohorts to biological and clinical data, the platform enables studies into risk, biomarkers and experimental medicine. How can new researchers get involved with your work? The Farr Institute is committed to developing skills, talent and expertise in the health informatics research community and to providing tools for collaborative working. It is our aim to position the UK as a global leader in health informatics research and we can only do this by supporting the community. We welcome the opportunity to collaborate with new partners and would encourage researchers interested in our work to get in touch. What do you think is the most pressing issue to solve to enable better utilisation of health data for research? The public’s support of using data in research is vital. The general public are involved throughout all stages of The Farr Institute’s research and play a valuable role in advising the Institute on its research practices, disseminating research and activity outcomes and raising awareness of the benefits of data-linkage. There is a very real challenge in improving the public’s perception of using data in research; it’s crucial that we have more open and honest discussions about what using data in research entails and that we highlight the processes, securities and benefits in doing so. 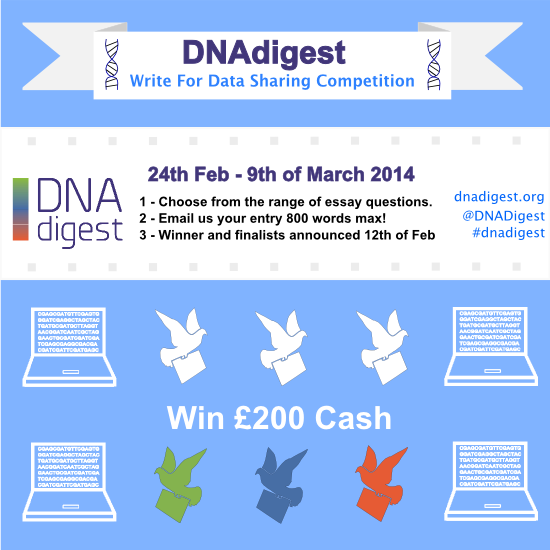 E-mail us at info@dnadigest.org and we will send you the discount code!